Lindsey is a textile artist based in London, England. Working from her home studio, she pokes and stabs at wool with needles from industrial feltmaking machines. They have barbs which repeatedly catch the fibres as she stabs, enmeshing them into a sculpted 3-dimensional form in a process which has come to be known as needle felting. 'I find joy in the way a pile of fluff can be magically transformed into whatever animal might be summoned from my mind. Once the face is there with eyes to peer at me as I stab life into the creatures, I fall a little bit in love with them. I gained a degree in illustration from Middlesex University in 2012. 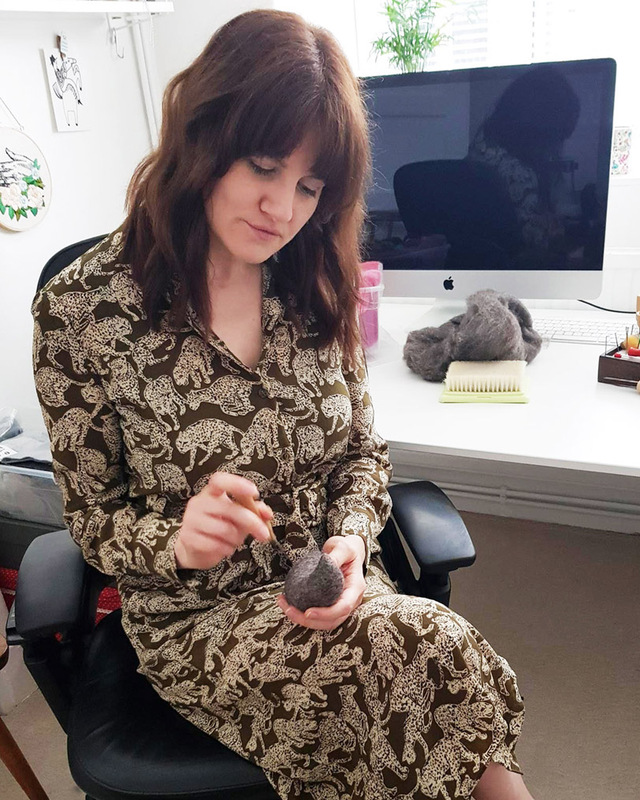 I used my time studying to experiment with mixed media but it wasn't until afterwards that I discovered fibre art and the wonderful ability of wool to make my illustrated characters three-dimensional. You can follow Lindsey Thomas on Instagram and Facebook to see her works in progress.